If there’s one thing that I admire about Bangkok, it would have to be the city’s rich heritage. I was in awe when I first visited the Land of Smiles. Even the Suvarnabhumi Airport had traces of Thailand’s intricate and towering statues. The display of artworks in the airport was simply a sight for sore eyes. 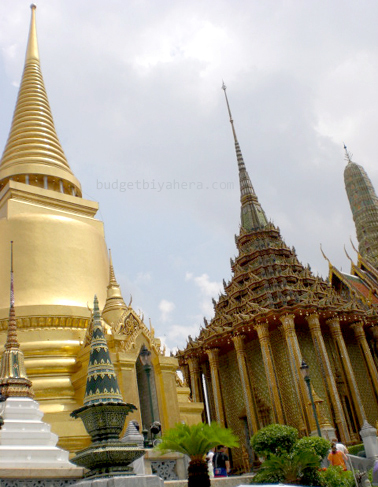 Truly, Bangkok is a must-see destination in Asia. A trip to this city won’t be complete without seeing its sacred temples and more! One of the few things that I look forward to when availing of a tour are the sites that will be explored and the tour guide’s that will assist me in learning more about their city. When my friend and I were about to leave the Suvarnabhumi Airport, someone approached us and asked if we wanted to book a City and Temple Tour from their agency. Since we had no definite plans, we signed up and paid the cheap deal that they offered us. And may I just say that the travel agency was truly commendable (fetches you on time for every tour using a real comfy ride, provides humble and courteous tour guides). 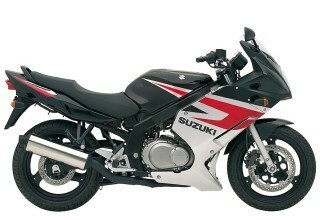 So should you visit Bangkok in the near future, you can look into the services of Great Bangkok Travel and Co. Bookings. If our tour guide Mr. Macky still works there, you should definitely get a hold of of his services. 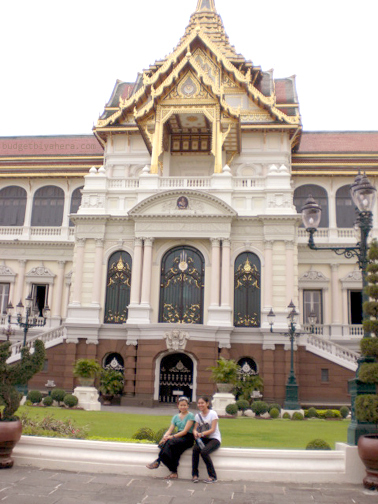 One of the few things that I immediately noticed in Bangkok were its opulent and grand structures. I’ve been able to witness some of the most biggest and most vibrant images and edifices that towered all over the city. And not only that, most creations were also made out of gold elements. It was truly enchanting to be surrounded with such finery. Awe-stricken — that would have to be the most fitting word to describe my journey of exploring Bangkok’s Grand Palace (one of Thailand’s most popular tourist attractions). The Grand Palace has always been made the official residence of the city’s monarchs (generations of kings stayed here with their families, courts and imperial governments). It also has 12 gates, 4 walls and 17 forts. Amongst the majestic sites that you’ll see within the palaces walls are the following: Temple of the Emerald Buddha or Wat Phra Kaew, Phra Thinang Amarin Winitchai, Phra Thinang Racharuedee, Phra Thinang Chakri Maha Prasat group, and Phra Thinang Chakri Maha Prasat. 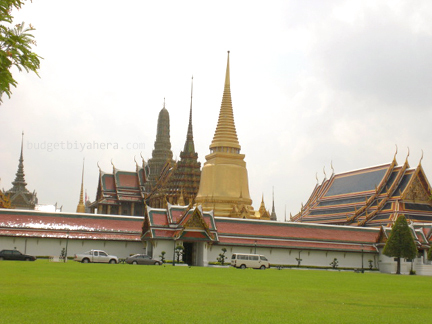 The Wat Po Temple, also known as the Temple of the Reclining Buddha is just near the Grand Palace. It would have to be one of my favorite sites, as it holds the divine reclining Buddha (spans to about 15 meters high and 43 meters long). 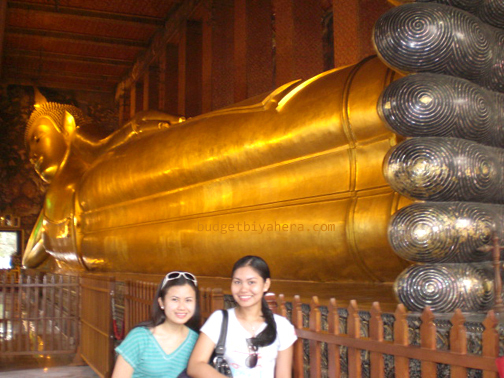 I was actually speechless for a couple of minutes when I entered the temple where the golden Buddha laid. But soon after that, I started taking photos of it like an eager tourist! But other than the famous reclining Buddha, the Wat Po Temple also boasts of other beautiful edifices. 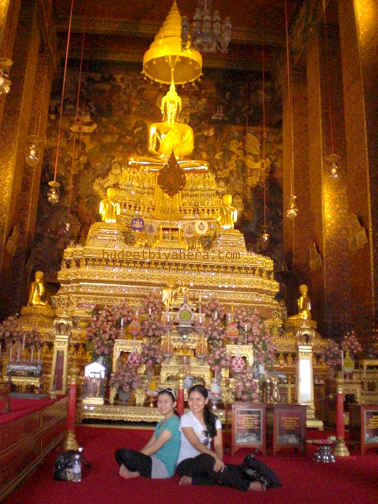 It is said to be one of the oldest and biggest WATS in Bangkok. It also keeps a thousand images of Buddha (about one thousand), and holds one of the largest in the complex. How about you? Have you visited the temples of Bangkok yet?